The POWER MASTER N Universal CNC Turning Center is designed for heavy duty cutting of large-diameter, long shaft work pieces. The machine features a flat-bed construction for easy access and chip flow. Plus, the machine offers various spindle bore diameters ranging from 4.64" up to 14.76" for large diameter pipe and shaft work pieces. 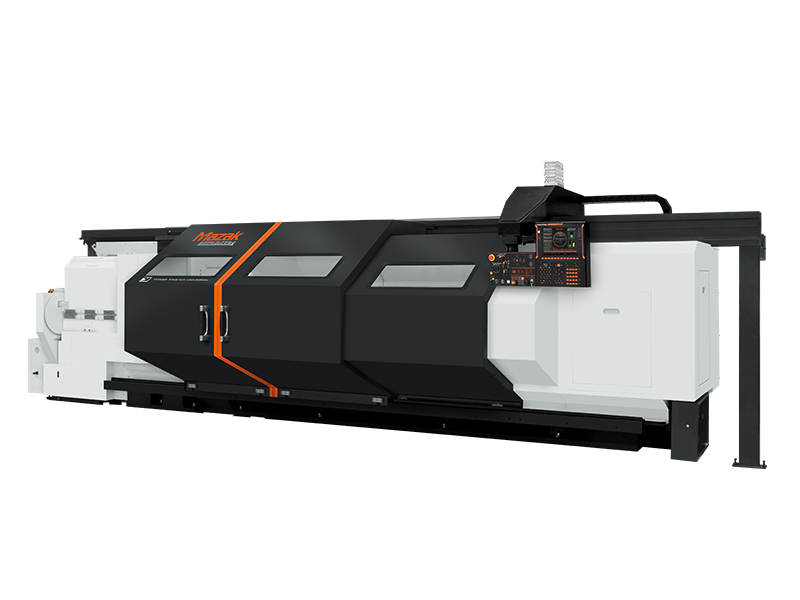 The front turning turret and the rear boring turret offer part processing flexibility and other turret configurations are also possible.